Cologne Bonn Airport is the 7th busiest airport in Germany which receives nearly 10 million passengers per year. It is located 9 miles from Cologne City Centre. The car rental desks are located on the ground level in the service area between Terminal 1 and Terminal 2. Car are to be returned to car park 2 in front of the airport terminal. 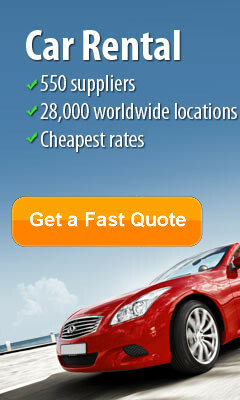 All the major car rental companies are located here. 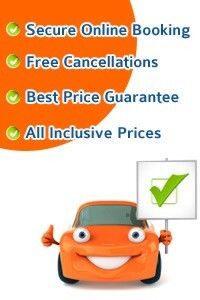 Hertz, Avis, Alamo, Budget Dollar, National Sixt, Thrifty Europcar. To save you time we will compare car hire prices at Cologne Bonn Airport for you and bring you the best prices for car hire. Cologne Cologne, Neue Eiler Strasse 50-52, 51145 Germany. Taxi service: Taxi's are available at Cologne Bonn Airport directly to Cologne Hauptbahnhof. Bus service: Cologne Bonn is services by regular buses to and from Cologne Airport and City Centre along with other routes. Car Hire: The car rental desks are located on the ground levelin the service area between Terminal 1 nad Terminal 2. Car are to be returned to car park 2 in fronmt of the airport terminal. Shopping at Cologne Bonn Airport Terminal includes ESPRIT, Haribo, Marc O Polo, Kirschner Shops, Duty Free Shop, Tobacco, Lottery Shop, MEXX Store, Travel Value Style. Restaurants at Cologne Bonn Airport includes Burger King, Café Bistro Leysieffer, Kamps Bakery, Starbucks, Sion Bar, Subway. Mercure Hotel Köln City, Friesenstraße Hotel,Friesenstraße 44 - 48 , Köln, 50670 The Mercure Hotel Köln City Friesenstraße is a 3-star-superior hotel located in the heart of Cologne. The famous Friesenstraße is the place to be in Cologne and is on your doorstep. Friesenplatz underground station is only a stone's throw from the hotel and excellent public transport enables you to discover the whole city, if you do not fancy walking. The VDR-certified hotel has 103 guest rooms in total, all of them with internet access. It also has a garage, four conference and meeting rooms. The Mercure Ticket Service is offered at the reception. Mercure Hotel Severinshof Köln City Hotel, Severinstrasse 199 , Köln, 50676 Located in Cologne city centre, this 4-star hotel offers modern accommodation and excellent public transport links, less than 1.5 km from Cologne Cathedral and the main railway station. Bright and spacious rooms equipped with an en suite bathroom, air conditioning and Wi-Fi internet access (fees apply) await you at the Mercure Hotel Severinshof Köln City. Boasting a delightful summer terrace, the Mercure Severinshof's Veedelity restaurant serves tasty regional and international cuisine. Guests will also appreciate the on-site sports bar, which offers a wide range of beverages and live sports events on large TVs. NH Köln City Hotel, Holzmarkt 47 , Köln, 50676 Established in 2003, the hotel comprises a total of 204 rooms spread over 6 floors. Guests are welcomed in the foyer with 24-hour reception desk, a safe and lift access. Furthermore, there is a café, a nightclub and an air-conditioned restaurant available to guests. A range of conference facilities are also on offer to business travellers, including 8 conference rooms of between 25 m² and 240 m² that have been equipped with the latest technology, daylight or dimmed light, all according to need. It is also possible to make use of the room service from 6:00 am to 10:00 pm and a parking garage is available for those arriving by car.This hotel is situated beside the Severin Bridge, directly opposite the chocolate museum in the heart of Cologne. The lively city centre with its countless restaurants, bars, nightclubs and shops, is just 1.5 km from the hotel. Guests will find 'Severinbrücke' underground station in the immediate vicinity and it is only a few minutes on foot to famous Cologne Cathedral. The old town is only a kilometre away and it is about 1.5 km to the main railway station. Cologne/ Bonn airport is around 15 km away. Park Inn Köln City-West Hotel, Provent Hotels GmbH Innere Kanalstrasse 15, Köln, 50823 We offer 205 rooms on five floors in two categories, including 90 percent non-smoking rooms, and three rooms with facilities for guests with disabilities. All our rooms are air-conditioned and elegantly furnished - as fitting for a Dehoga-classified 4-star business hotel. The amenities in our comfort category rooms are: air-conditioning, mini-bar, flat screen TV, video-on-demand, hairdryer, direct-dial telephone incl. mailbox function, ISDN and analog ports, wireless- and wired-LAN and sound-proofed windows which still allow supply of fresh air through the window frames, enabling you to have the best night´s sleep in town. Hotel Lyskirchen Hotel, Filzengraben 26-32 , Köln, 50676 In the heart of Cologne's historic canter lies the Hotel Lyskirchen, an old town hotel with tradition, only a few minutes by foot away from the city center, the cathedral square and the Rhine Promenade. Our Cologne hotel was named after the church, St. Maria Lyskirchen located in the immediate neighbourhood, and can boast of being a 4-star Cologne hotel. All 106 rooms are equipped with cable TV, highs peed internet connection, hairdryer, desk, telephone and minibar. Revive yourself in our swimming-pool, the sauna or the gym after a strenuous working day. .